You are trying to conceive for four years but you didn’t get the pregnancy. You get a period and track your ovulation each month but nothing works. Every day you pray the God and even that seems to be not working in your favor. You also don’t know any reason why you can’t get pregnant. You feel lost and confused. You are desperate to get pregnant. Whenever I spent my time in infertility forums I see women telling similar stories like the above I have narrated. So far you have been relying on conventional treatments with the hope of getting pregnant. You keep on TTC the same way for months and years together. Is it not the time to take a pause and think differently? Is it not the time to give natural methods a try? Giving natural methods a try means, you trust your ability to conceive naturally. Realize that you have an innate ability to conceive. First, you acknowledge this and then give the right things to your body to restore fertility. This article is to help those who want to reclaim and restore the fertility naturally. It is not a method per se. It is a kind of recipe for increasing your fertility naturally. This method uses the acronym C.O.N.C.E.P.T.I.O.N to help you memorize and follow it easily. It incorporates the following 10 natural fertility enhancers. Each of the fertility enhancer brings a specific change and eventually brings balance in your body. The uniqueness of C.O.N.C.E.P.T.I.O.N method is that it reverses infertility without a medicine or any other intrusive methods. Also, it is based on expert’s insights and real stories. Majority women who are trying to conceive, focus their entire attention on tracking their ovulation with BFNs. Their impatience grows further and they feel disappointed. They only try conventional medicine with the hope of fighting anovulation. You being an intelligent women try to understand the reason behind this problem and take proactive steps to fix this. Every cell in your body needs sufficient amounts of linoleic acid and alpha-linolenic acid to keep its vitality. So linoleic acid and alpha-linolenic acid are essential to restore your ovulation. 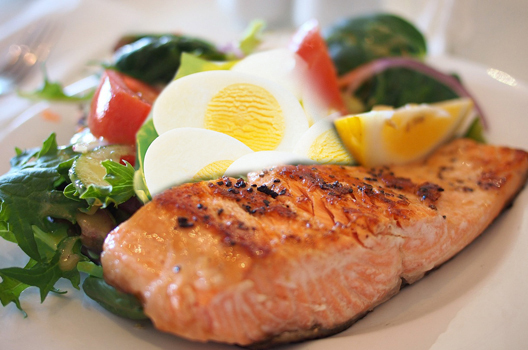 Eat plenty of fish, eggs, broccoli and dark green vegetables as they contain sufficient amounts of linoleic acid. The only thing you have to remember here is to stay away from fish like shark, tuna as they have high levels of mercury that is not good for your body. Your body is a chemical factory and it optimally functions only when you have the right acid and alkaline balance. All the cells of your body stay healthy when the alkaline balance is between 7.0 and 8.0. Conversely, your cells are not healthy when you have the alkaline balance below 7.0. Unfortunately, typical Western diet mainly consists of acidic foods such as dairy, meat and it is deprived of alkaline foods such as fruits and vegetables. So eat plenty of fruits, vegetables, sprouts and herbs. Majority women are predominantly career oriented. It is nothing wrong and however, they don’t care about eating nutritious food. Most of the time they are busy. They eat whatever available and in the process, they are depriving their body of nutritious food. All the systems of your body work in cohesion. In other words, if there is any defect in one system that will impact other systems. Obviously, the reproductive system and endocrine system which are directly relating to fertility are also affected. Eat balanced nutritious food and improve metabolic rate. 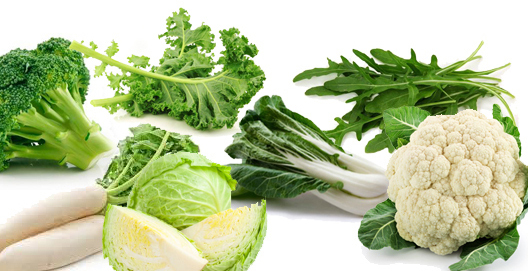 Eat plenty of cruciferous vegetables. They are known to increase the metabolism in the body. As you nurture your metabolism you’re also increasing the fertility. Undigested meat and other hard foods cause mucus buildup in the Colon. This produces toxins in your body. Toxic buildup in the body produces symptoms like fatigue, weight gain and low-energy on the surface level. But in the deep down, they manifest themselves as many diseases including PCOS, hormonal disorders and other chronic diseases. The Colon cleansing will release you from many diseases including infertility. So take 2 ounces of wheatgrass juice on an empty stomach. Wheatgrass is considered the most powerful juice with tons of chlorophyll a green pigment found in plants that have tremendous healing power. Wheatgrass juice not only cleans the colon but also alkalizes the blood. Majority women suffer from unexplained infertility. They have perfect reproductive and hormonal systems and yet unable to conceive. One of the major causes of unexplained infertility is digestive disorders. They include malnutrition, hormonal imbalance, anemia and coeliac diseases. The only way you can counteract this problem is through a healthy lifestyle. Before you restore your fertility you need to take care of enhancing your digestion. You can do it simply by drinking herbal teas. Herbal teas are known for medicinal value as they don’t contain caffeine. They improve your appetite, supply minerals and vitamins to your body. Herbal teas containing clove, cinnamon stimulate your digestion. Herbal teas containing licorice stimulate the bowels. In today’s hectic lifestyle, each one of you is subjected to all sorts of stress. Your job security, financial issues, relationship problems cause stress. This increases estrogen levels in your body. Increase in estrogen levels in your body is the main reason behind uterine fibroids, endometriosis and breast cancer. When you are trying to conceive your highest priority should be resolving all your inner conflicts. Unresolved conflicts may include your career pressure, not fulfilling your creative desires, not resolving your sexual and relationship issues, not resolving your deep pain and anger…. You are the best judge what are the unresolved conflicts harboring in your mind and emotional body. Take some time to figure out, acknowledge and make steps to resolve them. It is not the question of fertility issue only. Realize that it is the question of improving your overall life. You can resolve all these conflicts with simple lifestyle changes. These lifestyles changes may include practicing daily meditation; getting inspired consciously; spending time in the silence; practicing the acts of gratitude and love. These small changes in your lifestyle will go a long way in resolving all your inner conflicts. When it comes to infertility majority people perceive that it is a woman’s problem. However, it is far from reality. Studies indicate that 30% of infertility is relating to male factor problems. While you are trying to conceive if your DH has low sperm count it would be difficult to get over this problem. When you are TTC you have to boost your hobbies fertility also. Some men had the problem of gluten intolerance. So cut the gluten from your DH diet. This boost sperm count dramatically. Using zinc supplements also suggested. Before you get together it is also advisable for your DH 3 to 4 days of abstinence as it builds up quality and quantity of sperm levels. Increasing cervical mucus helps your partner’s sperm make its journey easy during ovulation. It is a kind of creating the right environment so that the egg and sperm meet without any obstruction and resulting in conception. Improve cervical mucus by taking enough vitamin A in the form of beta- carotene. You can drink grapefruit juice regularly to increase cervical fluid. Parasites live in your body. They lay eggs and release toxins into your blood. This will result in many diseases including digestive problems, hormonal disorders and infertility. Take cloves, black walnut and garlic as they kill most of the parasites in your body. A healthy liver eliminates the toxins from your body and maintains your health. It also produces substances essential for your immunity system, hormonal system and for maintaining optimal blood sugar. All these factors influence your fertility. A healthy liver is a key for your fertility. Nourishing the liver is, therefore, paramount when you’re trying to conceive. You can take milk thistle seed extract to nourish your liver. Milk thistle seed extract has highly potent antioxidant properties and therefore protect your liver from damage. Do natural methods really work? Majority women who try natural methods say that it doesn’t work. They practice one or two methods and come to a conclusion that it doesn’t work. If you want natural methods to work for you, you have to see the big picture. First, you have to realize that your body has an innate ability to conceive naturally. The ability to conceive is suppressed apparently due to some incoherent habits. In order to correct this incoherence, you have to deal with the problem in totality, not in isolation. The C.O.N.C.E.P.T.I.O.N method is conceived keeping the above factor. In the C.O.N.C.E.P.T.I.O.N method, I have included all the aspects of infertility for optimum results. So if you’re trying to conceive unsuccessfully, don’t get disheartened. Stop going the beaten track. Take a turn; explore the wonderful opportunity of getting pregnant naturally. With the C.O.N.C.E.P.T.I.O.N method, you are sitting in the driver’s seat. By sitting in the driver’s seat you are not simply wishing baby dust. You are literally making it happen. You are in control of your destiny. All it takes is shifting your focus inside your body and taking simple lifestyle changes. You get pregnant and also improve every aspect of your life.